Get your free laundromat insurance quote from RC Cook Insurance. Call 330-296-3628 for more information. We're located in Ravenna, OH. 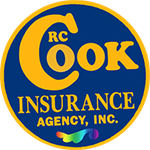 Let RC Cook Insurance help you understand and protect all of the risks you run and all of the perils your business faces. We will do this with a well thought out and executed business insurance policy designed just for Laundromats. When you partner with business insurance pro at RC Cook Insurance, you will be talking with an insurance protection veteran who knows your business and how the various insurance protections align with it. We have protected the businesses of Ohio since 1960 and will put together a premiere Laundromat business package for you at an affordable cost.